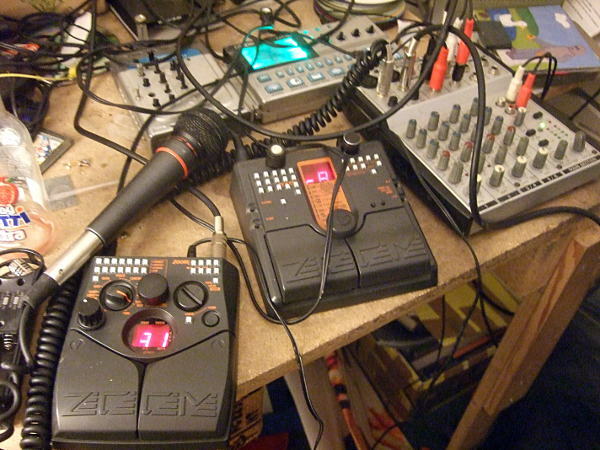 Here is the recording of my gig at autumnblips at Panke in Berlin. Everytime I touch my Gameboy now, or actually any portable gaming device, it burns LIKE HELL!!!!. I will have to learn to love it again, but right now the disappointment is overpowering. This was the last real 'official' recording from this particular cart. It feels very important to me, because it kind of sums up what I've been doing in those two years. And it shows me that it's time for a change in program. The Gameboy has dominated my set for quite a while now and in a way, I have started to let myself be limited through that. So, a few days ago, I built a new Lab, And from here on, I think my sound will be a bit different again. Looking forward to a new challenge. Working on my next lab. Hier mal eendlich was vom Auftritt in Portugal. bald noch mehr davon.